This… is not news. At least to me it’s not. 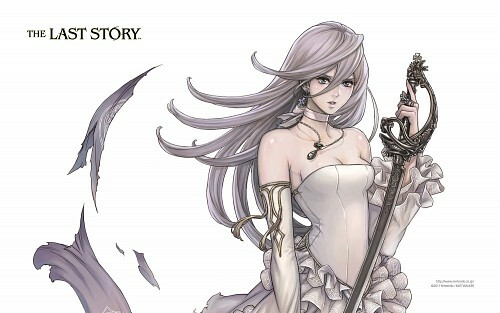 Last Tuesday, on July 12th, Nintendo of America was issued a notice of allowance for The Last Story, one of the three games targeted in fan group/movement Operation Rainfall. What does this mean? Well, it means that no other property in the U.S. has a trademark on the name “The Last Story,” and thus it is safe to release here. Think Star Fox for the SNES, and Star Fox for the Atari 2600. Same name, two completely different games. Why is it not news? The deal here, as many have pointed out, is that companies tend to trademark their properties in many different territories as a safety net to ensure that no backwater little company takes the name and sits on it (or exploits it). Plus, trademark filings never really guarantee that anything will come out to begin with. Remember Chrono Break? Yeah, that was a ride. Now if something does come out of this trademark, then this article means nothing and you can commence throwing eggs at my face. This entry was posted in Gaming News and tagged final fantasy's twin sister, nintendo, operation rainfall, the last story, wii on July 18, 2011 by Steven T..